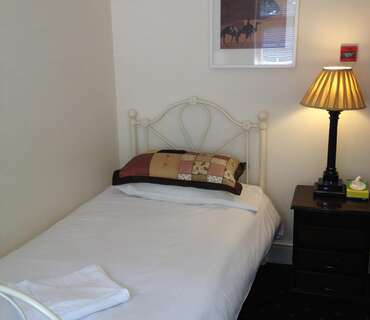 We provide 10 comfortable quality en-suite bedrooms, a mixture of Double rooms, Twin rooms, Single rooms and Family rooms. All rooms have tea and coffee making facilities. We offer plenty of free parking, and a large garden to enjoy. Early check in is possible, just call to agree prior to arrival. We are highly reviewed on our breakfast, catering for almost all dietary requirements. Book today or call for the best rate. 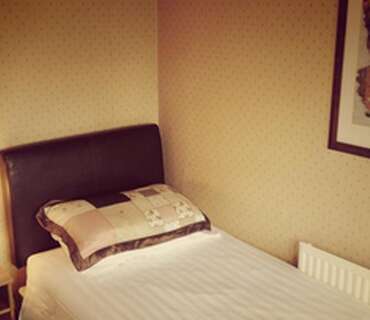 Twin En-Suite room with 2 single beds.